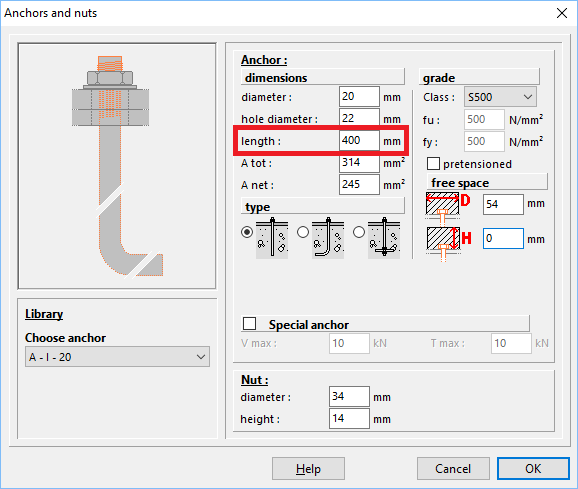 In the anchor details dialog, what does “anchor length” refer to (see the image below 400mm) ? Is it the total length of the anchor, or just the part in the concrete block? The length to fill out in PowerConnect is the length starting from bottom base plate, that means including the grout layer. This length is directly used as anchoring length.